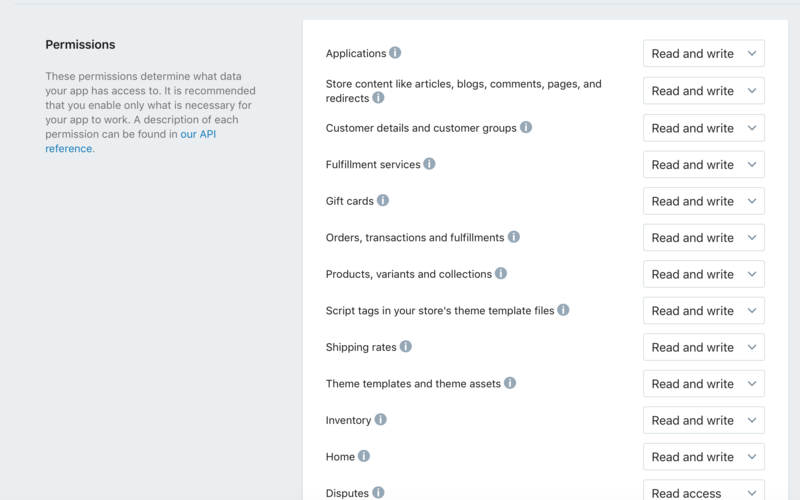 This user guide will walk you through integration of Shopify API into your SELRO account channel. Please follow the procedure described below. Prerequisite for this procedure is that you have established Shopify online shop with implemented categories and products. First thing that will be described is preparation of your Shopify web service and making it able to provide functionalities needed in SELRO. Please remember to set ‘read and write’ permissions. By default this will be ‘read only’ and you will not be able to create/update products from Selro into Shopify. What to do when you need to edit your saved Shopify integration?